Holidays are a time for recapturing warm feelings usually generated during childhood. Those feelings may change as we grow older even as childhood memories continue to dictate our actions and activities over the holidays. In our society, there is an expectation that loved ones gather harmoniously during holidays. Families develop traditions and rituals which are closely followed and handed down through generations - when to decorate the house, what foods to prepare, which religious services to attend. Add to these traditions any number of financial and social pressures, along with fatigue and possibly depression and an increase in alcohol and sugar ingestion. This is the context the bereaved person finds her/himself in at a time he/she feels most alone. Holidays lose their childlike magic over the years and this change is even more dramatic when a family member dies. Longing and the pain of separation are often made worse during the holidays. It is a time when most grieving people will acutely feel the absence of the deceased. If the mourner and the deceased lived apart, the holidays may be one of the few times they would have been together. If they lived close by, the times may have been among the most intense. The journey of grief can be unpredictable. Some balance may be achieved months after a loss and then suddenly an increase in symptoms occurs, intensifying the grief for awhile. Holidays are events that can cause these symptoms to appear and grief can escalate when they arrive. The key to getting through these difficult times is to acknowledge the loss and to create plans to fit the new cast of characters. Families tend to do one of two things during the holidays, neither of which works very well. The first one is to celebrate exactly as if the person is still there and the second one is to skip the holiday altogether. My family made the mistake of doing the second one the Christmas after my mother died. My two sisters, my father, and I went to Bermuda (my first time on a plane!) for Christmas week. We never spoke my mother’s name and did not exchange gifts. We rode motor scooters around the island and marvelled at the turquoise ocean and white beaches. The holiday season simply disappeared and when we returned to Connecticut it was over and we went on with our lives. I learned at the young age of 20 that ignoring a holiday does not work because there are reminders all around - decorations in stores, music on the radio, conversations with other people. I learned that when the loss isn’t discussed, the holiday itself goes cold and becomes filled with the dreaded reality of what eventually has to be dealt with. Be honest with family and friends about your feelings and decide what you can and cannot do and inform people about your decision. Consider changing some traditions or starting new ones. Ex. change the location of the shared meal, go to a different religious service, and let children play a bigger role. Keep holiday chores to a minimum and do only what you enjoy doing. Ask people to help with these chores. Get plenty of rest. Grieving can be a physically, emotionally, and psychologically draining experience. Shopping for gifts can be a shock. Try bringing a friend with you and go when the stores are least crowded. Make a list early and when you are having a good day capitalize on it. If there are no good days, try ordering on the internet or don’t buy gifts at all. Keep a journal and record your thoughts, feelings, and actions. Review it the following year at holiday time and compare it to how you are feeling at the present time. Choose to be with people who will allow you to share your innermost thoughts and feelings. Invite friends to help decorate or bake, if you choose to do these things, so that you don’t do them alone. Do something for someone else. Spend time doing volunteer work or donate money to charity that you would have spent on gifts for others. Buy a present your loved one would have liked and donate it in his memory. Spend some time exploring your faith or spirituality or in meditation or reading sacred texts. Try to remember your loved one in a special way. This can be accomplished by participating in ritual activities which are effective ways to commemorate meaningful occasions. 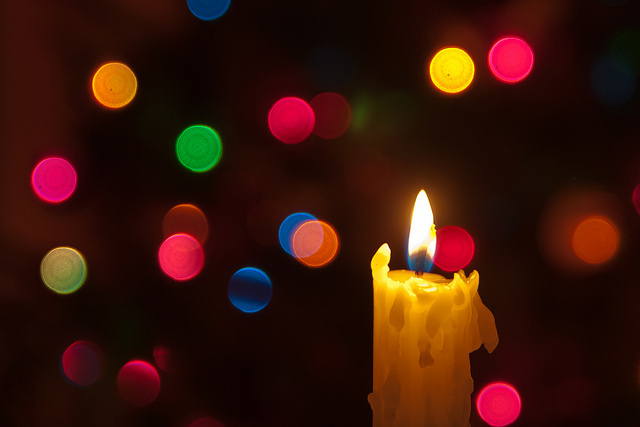 Light a memorial candle each morning and extinguish it at night every day during the holiday season. Create a holiday altar and place photos and special objects on it to honor your loved one. Make a special toast for your loved one using a favorite beverage. This can be done alone or with other people. Set a place at the table for the deceased. Place a single flower on the table in honor of the presence of your loved one. Review the family photo album with other family members. Watch family videos with friends or family members. Do something as a family that the person loved. Ex. feeding birds or walking on the beach. Have everyone write down and verbally share a favorite memory or story about the person who died. Set aside time before opening gifts to talk about how your loved one contributed to the quality of your life. Plant a living tree to commemorate the deceased. Write a forgiveness note in the deceased person’s name and present it to someone with whom you may have some discord.